How To Make SEO For Search Engines Other Than Google? Home Lessons How To Make SEO For Search Engines Other Than Google? Well, it is the time to think beyond Google! There is no doubt that Google has revolutionised the world of internet and has been on the top of the long list of available search engines. But still, we have some great optional search engines like Microsoft’s Bing which has grown to a big level recently. You need to rank well on Google but at the same time, you also need to optimise your site for other search engines which support your website segment. So, it is the time to start putting SEO efforts on other search engines and understand on which of these search engines you should spend your time on. Why Should We Select Bing as the Best Option? Recent Search engine studies show that Google still has the majority of the search engine market share which is 67 percent. But who dominates the rest? Well, Bing claims the 19.4% of the rest which makes it the second best search engine with a great market share. Yahoo Bing Network represents 30 percent of the US search engine market. Based on a recent study, Yahoo Bing network is favoured by the following groups of people. The success story is long and Yahoo Bing Network has cornered certain audiences. On a number of verticals like education, Travel, Telecom, Business and Finance, Bing has shown a great performance and the road of success is never ending. Ask Yourself! Will You Still Continue to Ignore Bing? After reading these stats, you certainly would have started thinking about this other option for Search engine optimisation. To reach an elite group of audience, it is the time to get your website optimised specifically for Bing. Bing offers a great visibility on its search engine if you keep certain tips in the mind. While some aspects might be similar to Google SEO, some others are different and specific for SEO on Bing. Let us have a look on some of the best ways to make your site optimised for Bing. Being indexed is the first step required to develop traffic from Bing. Bing has clearly stated this fact and therefore submitting your site to Bing is the first step you do and then wait for Bing to index your site. Sign up for Bing Webmaster Tools and provide your site details like the sitemap. This is important as it makes easier for Bing to crawl and index your site. It is recommended and important to verify your site and create sitemaps for images and videos. Bing has not crawled your website still. So fix these issues and get your website indexed on Bing. Which Type of Website Do You Have? Google and Bing have different approaches on favouring a website. Google looks for newer and popular websites but Bing places an emphasis on the age of a domain. For better SEO on Bing, you may look for an older domain to get indexed better! Besides, Bing looks for domains which look more official like .edu or .gov. This shows that Google looks for socially relevant sites while Bing likes you to provide factually relevant information. If you already own a website, this tip may not be useful to you but if not then this might give you a clue why your new website is not performing well in Bing. txt- This is the controlling figure for Bing bots movements in your site. Make sure this file is not blocked and accurate. The technology used in site- A very rich media can prevent Bing bots to crawl your website. Redirects- If you need moving of content between the websites, Bing prefers that you use a 301 permanent redirect. Bing seems to place a lot of emphasis on the selection of title tags and it should have relevant keywords for every page throughout your website. In a post on Bing Blog, Bing has discussed how it selects title tags and how the best titles for the pages can be selected. Bing also prefers unique and high-quality content like Google. Though Bing is still not so as Google in terms of removing the pages which have less or no value from SERPs. Ideally, you should produce a high-quality content to rank high in Bing. Here are some of the few indicators which will help Bing to understand the value of your content. Does your content include images, videos and other types of video formats? Whether user feedback is good and it contains numerous relevant comments like in the case of a blog post or multiple replies to a thread in a forum etc. You should link to the best pages on your website from other important pages with relevant anchor texts. Exact match is not required but relevance to the page you are linking to is required. Anchor texts should provide a hint about the pages to which they will lead your users. In the Bing Webmaster guidelines, the importance given to social media signals is defined. Bing sees positive signals when your followers share your information widely. These positive signals have a great impact on how your rank organically in Bing search results in the long run. Though Google continues to enjoy a major share of the Search engine market, Bing has emerged as the second best powerful search engine. 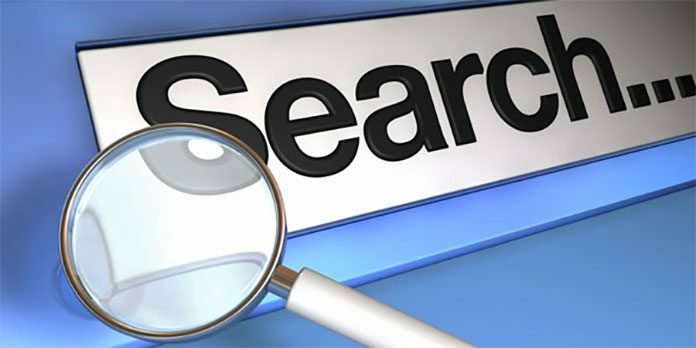 It has reached to a big share of the market which is about one-third of the total search volume. So, just do not focus your SEO efforts on Google. Start optimising your website for Bing which also promises a high amount of traffic to your website. Next articleTime to Optimise Your Website for Bing! Learn How!